Oudolf, who achieved international acclaim for his elevated garden along the High Line in New York City, visited the Delaware garden site on October 18 and 19 to familiarize himself with the 37-acre property. The site plan calls for a large meadow near the Woodland Gardens. At the property, he walked the uplands, the paths through the woodland, and down to the wetlands-buffered waterfront on Pepper Creek, which flows into Indian River Bay. Noted horticulturists on the DBG board and advisory council joined him to discuss the site’s possibilities. Adds Gregg Tepper, director of horticulture for DBG, "Piet is an artist and a true plant enthusiast. He delights in working with a diverse plant palette, including many garden-worthy native plants, which inspires visitors to do the same in their gardens." Few examples of the Dutch plantsman’s designs can be found in the United States, making a Delaware meadow by him a remarkable draw. In addition to the High Line, notable U.S. examples are at the Battery Park gardens in New York and at the rooftop Lurie Garden in Chicago’s Millennium Park. In Europe his public work can be seen at places including the Vlinderhof and Westerkade in the Netherlands; Pottersfield, Pensthorpe, Trentham Estate, and Hauser and Wirth in the U.K.; Skarholmen in Sweden; and Maximilianpark in Germany. For his work on the High Line Park, the New York Post dubbed Oudolf not only a "creative genius" but also a "plant-world rock star." The garden he envisions for the Delaware Botanic Gardens will resemble a wild prairie meadow—like many of his signature projects—rather than the design used on the High Line. That was inspired by the self-seeded landscape that grew up between rail tracks after the trains stopped running in the 1980s. People who visit Oudolf's gardens often feel that they are walking through a naturally wild meadow, but, he says, “It’s not wild at all. It’s an introduction to the wild.” His focus is on naturalistic designs, sustainability, and creating environments for biodiversity. Oudolf’s own farmhouse at Hummelo, a village in the eastern Netherlands, began as a modest nursery and then grew to attract customers from around the world. His numerous books, written with coauthors, include Designing with Plants, Planting Design: Gardens in Time and Space, Landscapes in Landscapes, Planting: A New Perspective, Oudolf-Hummelo: A Journey Through a Plantsman’s Life, Designing with Grasses, Dreamplants for the Natural Garden, and Planting the Natural Garden. “I think it’s the journey in your life to find out what real beauty is, of course, but also discover beauty in things that are at first sight not beautiful,” says Oudolf in a trailer for the forthcoming documentary Piet Oudolf: Fall, Winter, Spring, Summer, Fall. 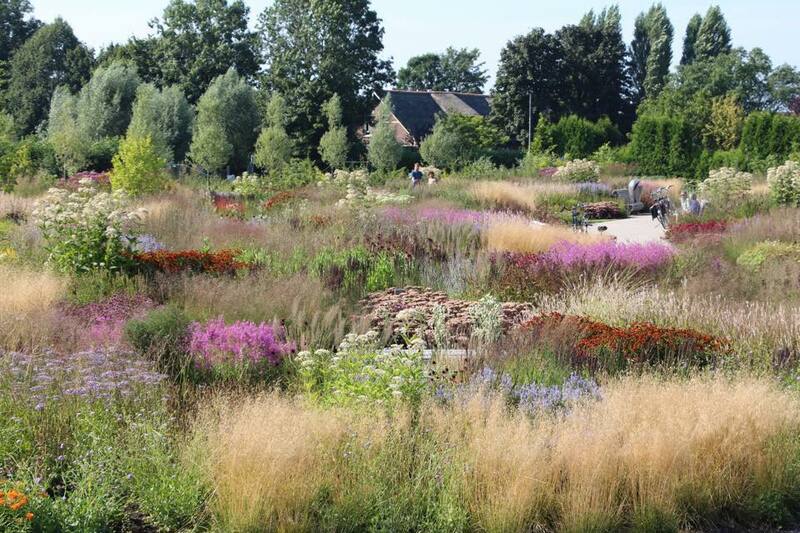 "The addition of Piet Oudolf to the Delaware Botanic Gardens team is an amazing milestone," said First Lady Carla Markell, who chairs DBG's advisory council. "With his leadership, this beautiful garden will be a major addition to Delaware's quality of life. Research has also demonstrated that projects such as this botanic garden are also investments in the economic well-being of our state." This signature Oudolf meadow presents a special naming opportunity for a donor who wants to support this central feature of the Delaware Botanic Gardens. All contributions to making this meadow a reality in the next few years are equally welcome. Further information on the Delaware Botanic Gardens, including membership and donations, can be found at www.delawaregardens.organd at www.facebook.com/delawaregardens. The Delaware Botanic Gardens at Pepper Creek is embarking on a multiyear, multiphase plan to establish a flagship botanic garden for Delmarva that manifests the values motivating all garden lovers everywhere—from the magnificence of nature to the role of horticulture in learning, enjoyment, and health. Founded in 2012 as a 501(c)(3) nonprofit organization, the Delaware Botanic Gardens will celebrate the coastal plain with a world-class, sustainable garden that delights and educates visitors and inspires them to preserve Delmarva’s native landscapes. It will create a unique, inspirational, and accessible garden for public benefit and pleasure. Plans call for the first phase to open in 2017.